One thing that I learned this week is that teachers LOVE their Girl Scout cookies! My daughter just became a Daisy scout last month (right before cookie time - smart! *sarcasm*), so this is our first cookie sale. I think that I spent most of the day Monday selling cookies (don't tell my principal)! But in case he does read my blog, just kidding! (Kind of!) So Wednesday was the day we sold her 120th box (her "quota"), which was only five days after it started! Thank goodness, as I thought that I would be buying a LOT of unsold cookies. Anyway, much of the early part of the week was pretty uneventful, which isn't bad! I did have students draw me some pictures, but they were the kind that they did on notebook paper just because they had five minutes before the end of class. Not really worth hanging, but I didn't want to hurt their feelings. 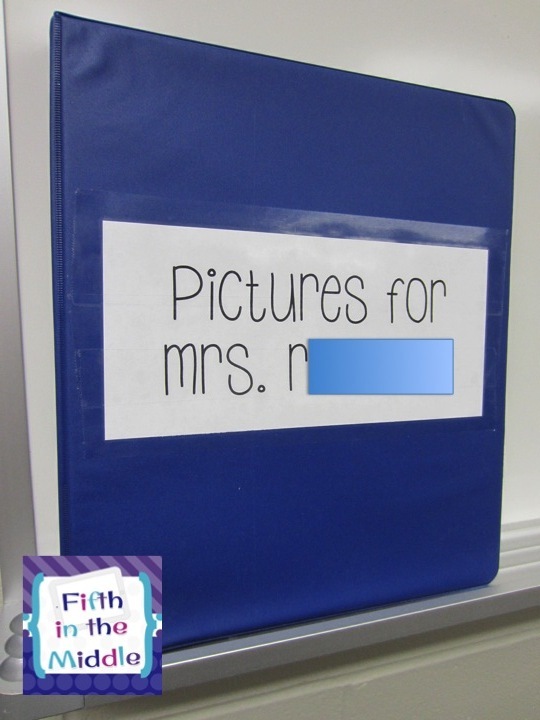 So I remembered something that I saw on Pinterest that would do the trick - a picture binder! This way, I can keep the pictures in a gallery of sorts, and they don't clutter up my walls! Wednesday afternoon was an inservice over Write to Learn. This session was a review of Think Back, 3 2 1, 3-Minute Pause, and Q-Charts. 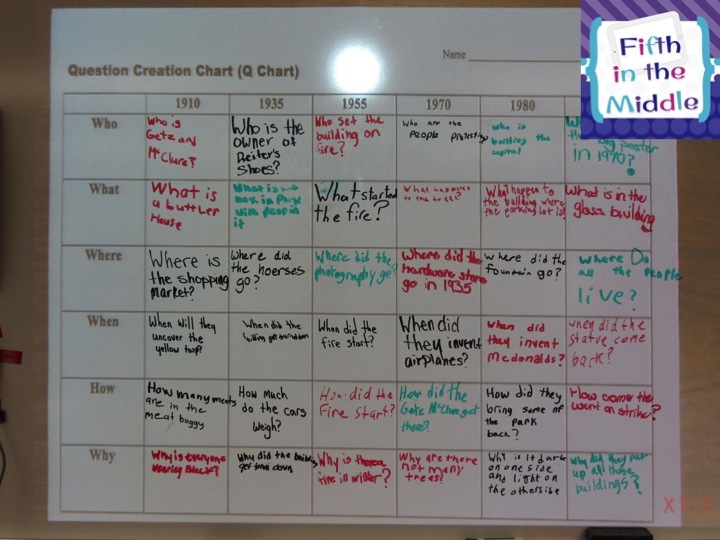 Here is an example of a Q-Chart. At some point I will post some of the things that I've created with these strategies, but this won't be the week. All I know is that my brain really hurt by the time 3:00 rolled around! 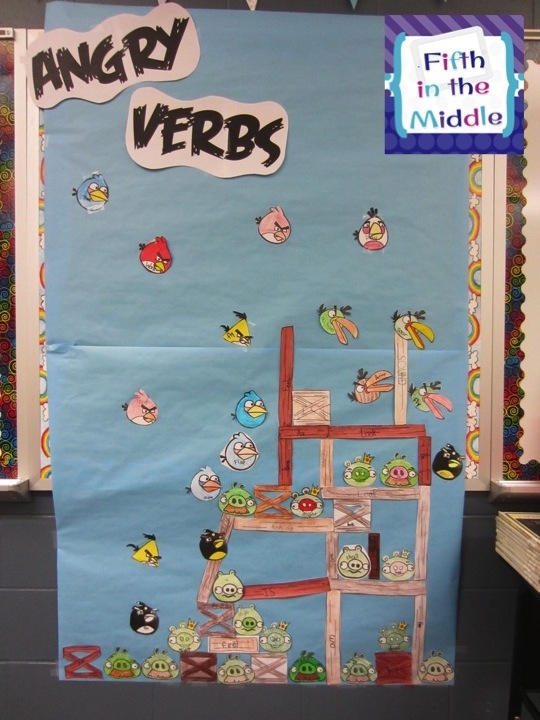 Lastly, we finished up verbs by doing the often-pinned Angry Verbs. I was able to download a similar font so that I could type out the title. 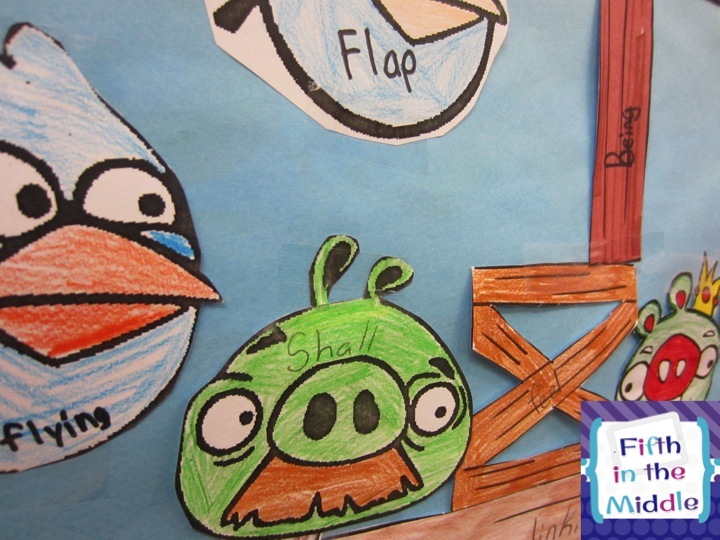 The twist that I put on it was to make the birds action verbs, the pigs were linking verbs, and the wood pieces were helping verbs. I think. Or the pigs were helping verbs and the wood pieces were linking verbs. Hard to remember since they both can include the same words! Anyway, the kids really got into it! I just read this!!! Who can EVER forget the "brad" story! !